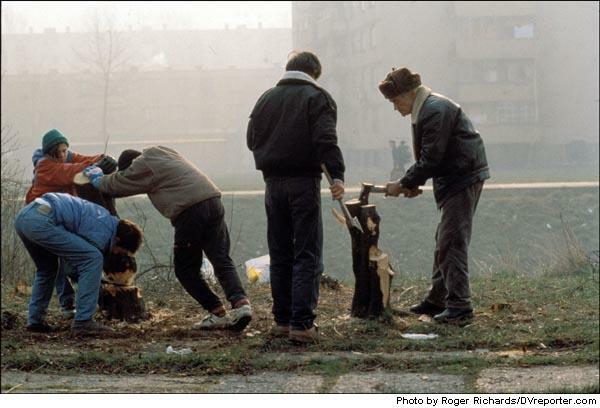 Sarajevo residents salvage the remains of trees that have been cut down for use as fuel for cooking and heating during the Serb siege of the city, December 1992. During the first winter of the siege most of Sarajevo's parks and tree-lined boulevards were cut down by desperate citizens. Photo by Roger Richards.